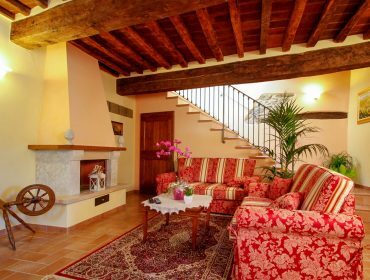 Casale L’Antico Carro is a beautiful bed and breakfast in the Tuscan countryside located in the village of Montalla, only 4 km away from the historic center of Cortona. 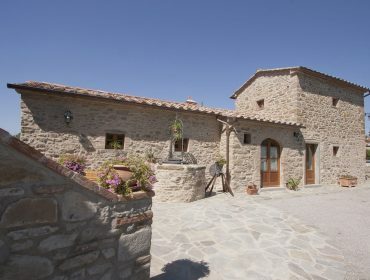 This typical B&B consists of a big country house, where you can find 4 bedrooms with en-suite bathroom and the restaurant, and an outbuilding, which once was a tobacco drying kiln, where you can find today two bedrooms with en-suite bathroom and a nice dining/sitting room. 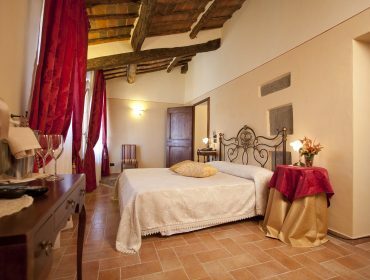 The B&B of Cortona Casale L’antico Carro, which once was an old farm, probably a part of a bigger monastic complex dating back to the 17th century, has been perfectly renovated in the classic Tuscan style by keeping its original architectural features intact. 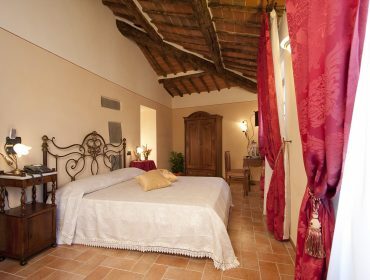 The 6 big rooms of the B&B have traditional finishings such as floors in terracotta tiles, ceilings with exposed wooden beams and double wrought iron beds. 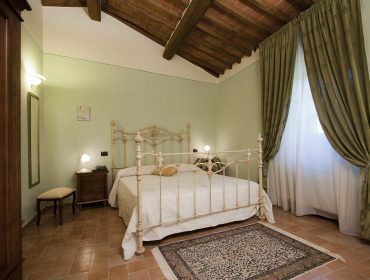 The classic style in this B&B near Cortona is harmoniously combined with all the modern conveniences in order to guarantee you a comfortable and relaxing stay in Tuscany. All the rooms are thus equipped with air conditioning, satellite TV, telephone, safe and free wi-fi internet connection. 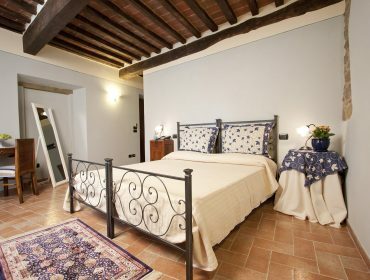 Moreover, thanks to the huge spaces available, it is possible to add on demand an extra bed or a cradle in every room. 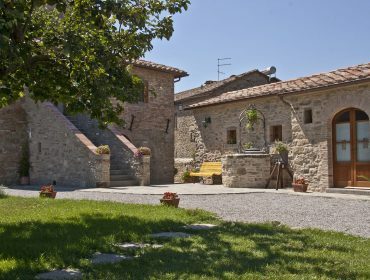 Small-sized pets are also welcome to stay at Casale L’antico Carro. 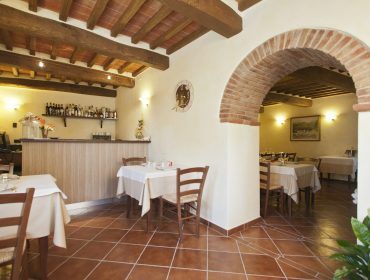 This B&B has an own restaurant proposing the typical Tuscan cuisine. 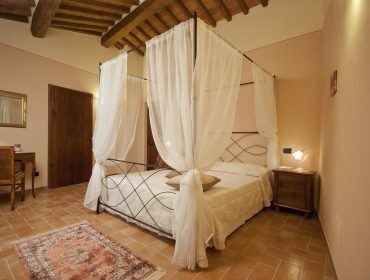 You could thus take advantage not only of the overnight stay and breakfast solution, but also decide to have half-board or full-board according to your specific needs. The restaurant is open to the public and is available for banquets and ceremonies, which could be organized outside during the summertime, under a functional external gazebo and on the huge green spaces surrounding the country house. 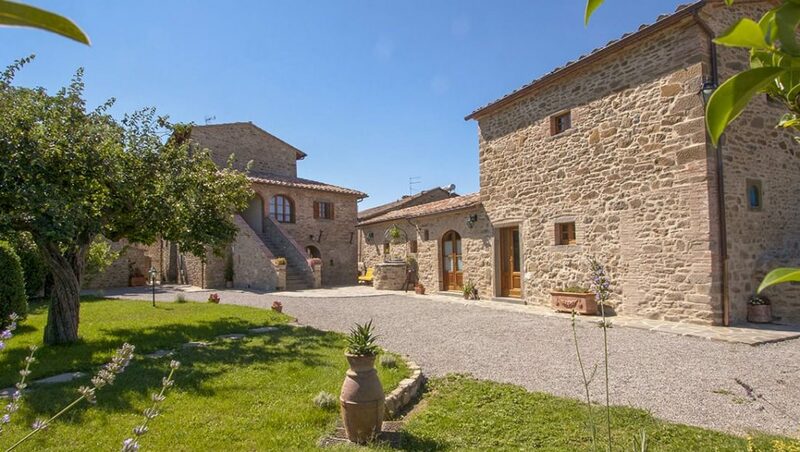 Contact us to request for availability and prices of our B&B in Cortona and reserve an unforgettable holiday in Tuscany characterized by nature, relaxation and good cuisine.